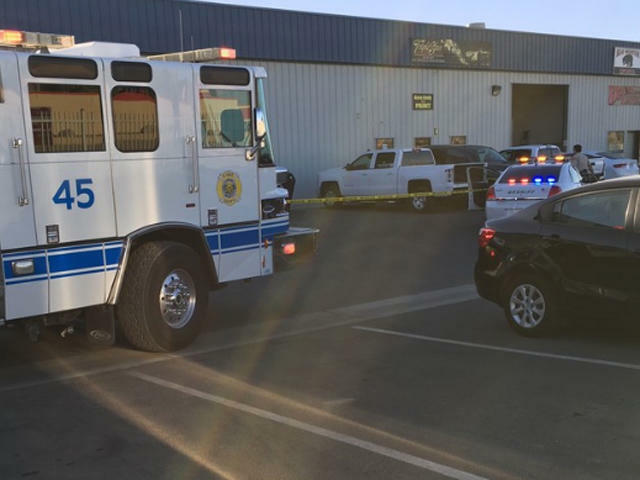 BAKERSFIELD, Calif. -- A gunman went on a rampage in Kern County, California, killing his wife and four other people before shooting himself to death, authorities said. Kern County sheriff's Lt. Mark King said Thursday there were "strong indications" of a domestic violence motive in the Wednesday evening rampage, but he said that was still being verified. Thursday afternoon, the sheriff's office identified the suspect as Javier Casarez, 54. They said Casarez first showed up at the company with his wife shortly before 5:30 p.m. Wednesday, where he confronted another man. The gunman then went to a home where he shot and killed a man and a woman, the sheriff said. He then carjacked a woman who was driving her child. The woman and child escaped and the man drove to a highway where a sheriff's deputy saw him, Youngblood said. "I think it was a very short amount of time, about 10 or 15 minutes," Youngblood said about the time from the first shooting until the suspect shot himself, CBS Bakersfield affiliate KBAK-TV reported. "Six people lost their lives in a very short period of time. This is highly unusual," Youngblood said.